iPhone and Android announcement made at this year's Blizzcon. We may not have a mobile version of World of Warcraft, but Blizzard will provide the next best thing. The company announced that it will release its highly anticipated free-to-play card battle game, Hearthstone: Heroes of Warcraft, sometime in mid-2014, for both iOS and Android devices. Lucky Blizzcon attendees can check out a near-complete version of Hearthstone on the show floor. We'll have more details on its release in the months ahead. 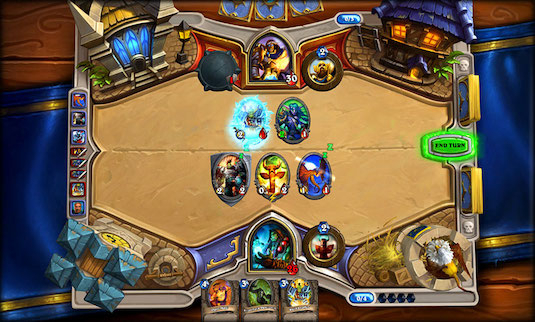 In the meantime, enter our Hearthstone beta contest for a chance to play the game early.